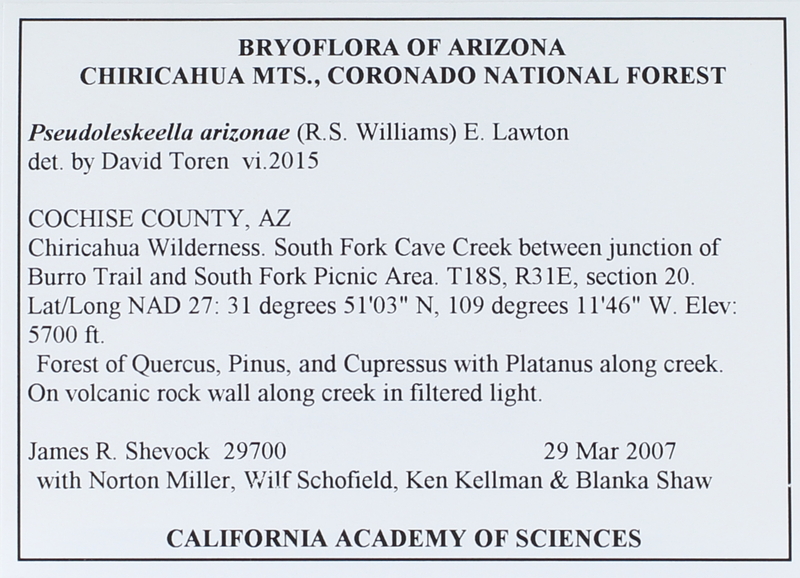 Taxon: Pseudoleskeella arizonae (Williams) Lawt. Locality: USA, Arizona, jChiricahua Mts., Coronado National Forest. Chiricahua Wilderness. South Fork Cave Creek between junction of Burro Trail and South Fork Picnic Area. Habitat: Forest of Quercus, Pinus, and Cupressus, with Platanus along creek. Substrate: On volcanic rock wall along creek in filtered light.